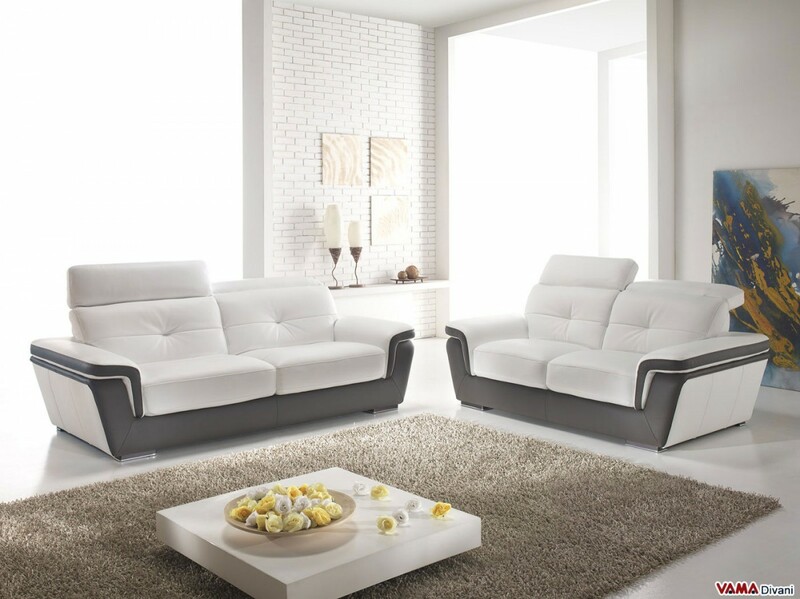 Contemporary white and brown sofa characterised by simple and clean shapes, which can be easily matched in many different spaces. The perfectly smooth upholstery of this sofa, is completely made of leather, and to enhance the style of this piece of furniture, there are some fine decorations on the arms and beautiful wooden feet in wenge colour. 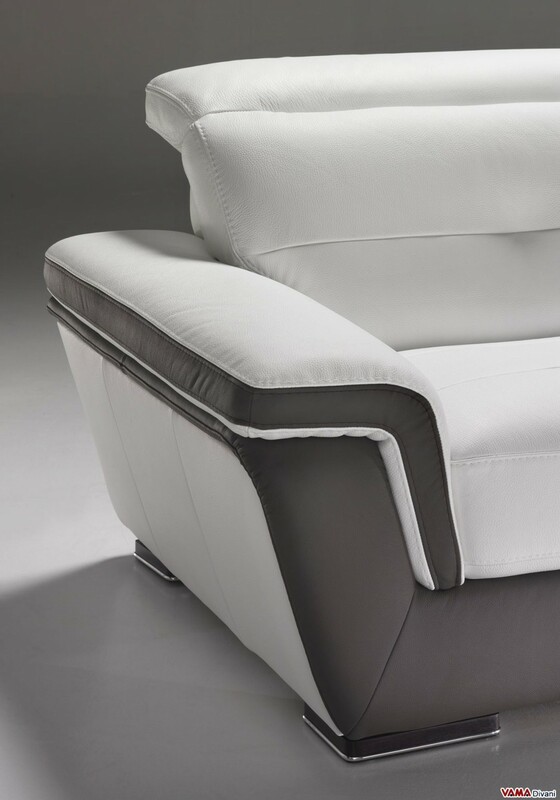 The soft reclining headrests optimize the comfort and the convenience of this sofa. 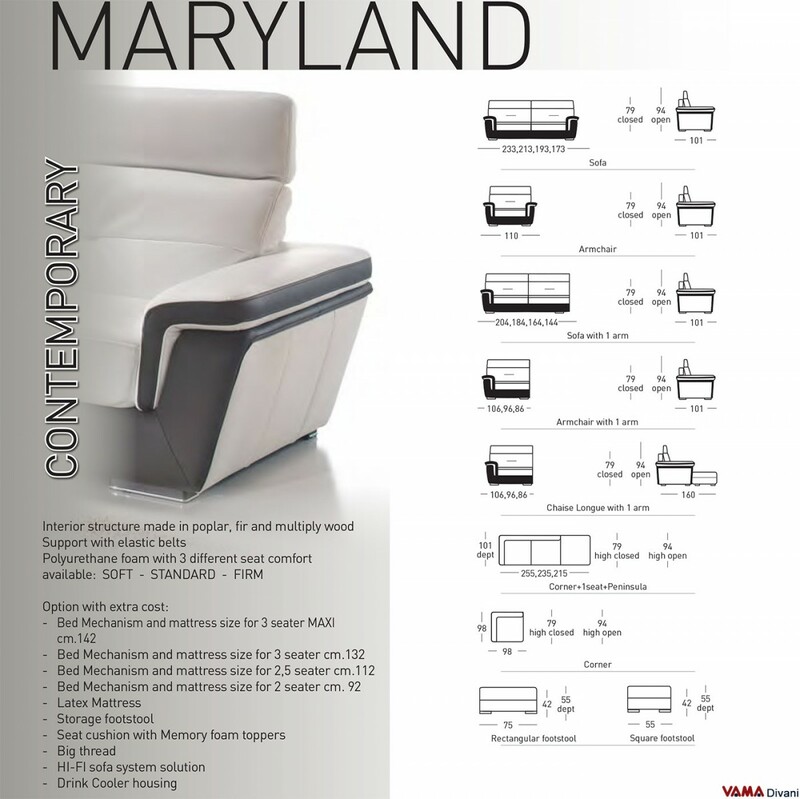 Maryland is a sofa with a simple and linear design, with eye-catching shapes on the arms and a comfortable reclining headrest. 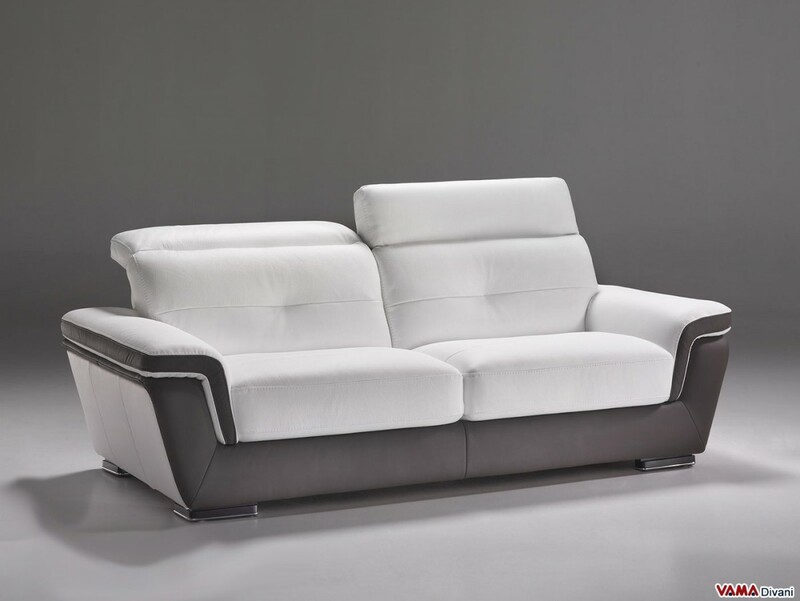 This sofa presents a contemporary and very versatile design and can be stylistically placed in many different types of rooms. Completely upholstered in leather and with an internal and particularly sturdy frame which makes it extremely resistant to wear, the sofa Maryland features a very nice combination of contrasting shades: brown and white. Some beautiful wooden feet in wenge colour with polished steel finish embellish the design of this sofa. 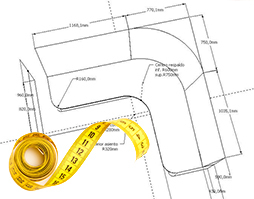 This sofa it can be customised in every size.